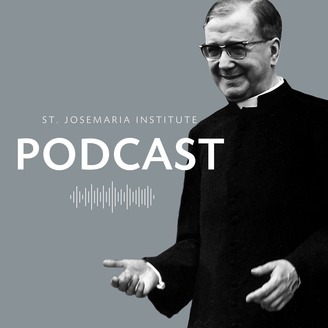 The St. Josemaria Institute Podcast is a series of reflections following the spirit of St. Josemaria Escriva to help you grow and deepen your daily life of prayer. The St. Josemaria Institute was established in 2006 in the United States to promote the life and teachings of St. Josemaria Escriva through devotions, digital and social media, and special programs and initiatives. In this podcast, Msgr. Fred Dolan recounts the story of the resurrection as told in the Gospel of Easter Sunday and to which the Apostles became witnesses and used as the basis for their preaching. This passage leads us to reflect on gratitude and our own relationship with Christ. We are encouraged to foster a spirit of gratitude, knowing that Christ loves each one of us and freely gave himself up so that we might have life and live it to the full. From this spirit of gratitude, we can strengthen our desire to grow in our relationship with Christ and never lose the conviction that, through the power of the Resurrection, Christ is always present with us. Love calls for love in return. As we think of Christ, we should recall the love that led him to pour out so many graces upon us. ______________________________________________________________ THANK YOU FOR LISTENING! 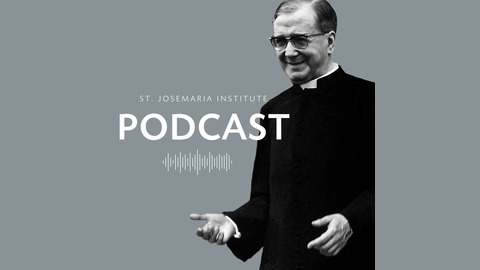 If you enjoyed today’s podcast, please leave a rating or review here on SoundCloud and on iTunes: itunes.apple.com/us/podcast/st.-j…id966458405?mt=2 Don’t miss new podcasts from the St. Josemaria Institute!